Unemployment was another big problem the government faced. Many adults could not find steady jobs to support their families. Some of them resorted to illegal hawking and driving ‘pirate’ taxis. 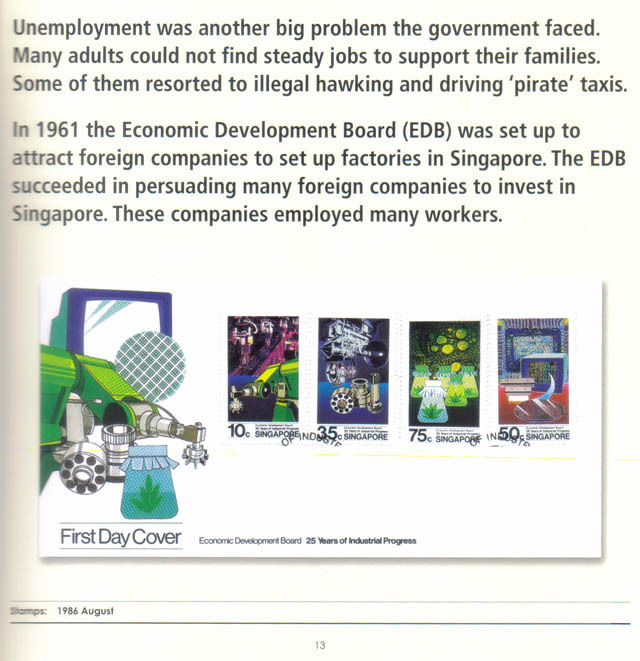 In 1961 the Economic Development Board (EDB) was set up to attract foreign companies to set up factories in Singapore. The EDB succeeded in persuading many foreign companies to invest in Singapore. These companies employed many workers.